The Holiday Inn Express at Liverpool Airport has been rebranded and is now a newTravelodge. Check out the details and book now with Holiday Extras to save. If youre flying with family, youll need an airport hotel thats both convenient and great value, which is exactly what youll get with the Holiday Inn Express Liverpool airport. From arrival, youll get a straight-forward check in to your spacious, comfortable room, some kid-friendly food and a good nights rest. Our customers are particularly fond of the chatty staff at the Express, and their local knowledge could give you some useful tips for navigating the airport. The team of staff is small, so youre sure to see the same faces. The hotel is so focused on your convenience that they have handy luggage scales in the lobby near the vending machines for last-minute checks. Just a 20-minute walk from the airport, or a 5-minute drive, the hotel isnt out in the middle of nowhere, but its still off site. The hotel is right next to a branch of Dobbies garden centre, which has a nice bistro and a toy department that should give your kids something to do if you have time to kill. Liverpool airport is a little isolated, so its a bonus to have somewhere else to go. The Express may be a limited-service hotel, but it offers you exactly what you need and nothing more, so you dont end up paying for things you dont need. Family fun - Spacious rooms, kid-friendly food and straight-forward check in and out, all make this a great hotel to take the stress out of those family trips. Comfy rooms - For a limited-service hotel, the rooms at the Express are surprisingly spacious and comfortable; more so than many more-expensive hotels. Escape the airport -While still under a mile from the terminal, the hotel is still clear of the airport bustle and theres a garden centre next door to keep your kids occupied. Staff tried to be helpful but 2 of them were trying to operate all departments including doing the cooking. When we needed bar service I had to go to the kitchen to get their attention. The female staff member was blowing bubble gum. This can't be hygienic can it? Very helpful staff. Near to airport. No problems at all. No hot water.had to move rooms.still no hot water for a shower. When we arrived we spent a bit of time trying to find our hotel to find that it had changed its name to TRAVELODGE. Pity no-one had the decency to tell us that . 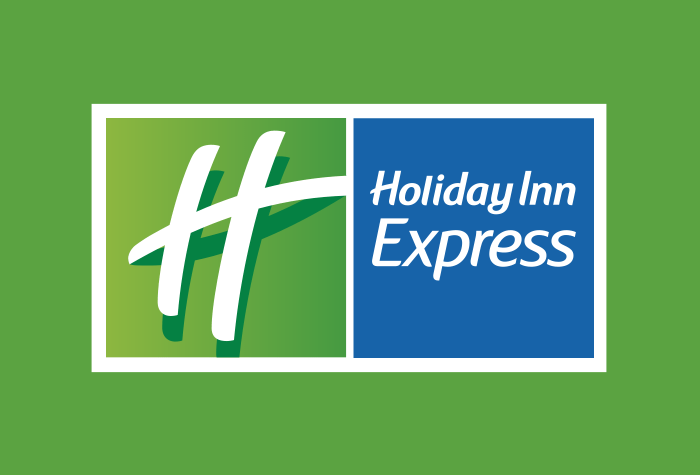 Our customers rated Express By Holiday Inn on average 9/10 (249 reviews). Enjoy a stress-free stay at this convenient airport hotel, where all the essentials have been taken care of. If you want low-cost convenience from a name you can trust, the Holiday Inn Express could be just the one for you. With free wifi, a reasonably-priced bar menu and loads of space in the bedrooms, there's all you need and more to get your holiday off to a flying start. Check in from 14:00 and you'll find an open and inviting lounge area right next to reception, where you can grab a drink from the bar, chill out in front of the TV with a newspaper or simply settle into one of the hotel's funky purple sofas and surf the net. It might not be huge, but it's got all the space you need to kick back and relax before your dinner. When you're ready to eat, the lounge bar has a reasonably priced, limited menu. From crusty rolls and soup to sandwiches, burgers and chips, you're sure to find something to satisfy your tastebuds. Food is served from 11:00 until 00:00, so there's no chance of going hungry. What's more the hotel can even box your dinner to go or provide you with a tasty 24-hour pizza from their in-room dining menu. You won't be disappointed when it comes to the bedrooms. They're bright, welcoming and bigger than you might expect for such a reasonably-priced hotel! You'll find plenty of storage space, a TV and everything you need to make tea and coffee, as well as a comfy bed and your choice of soft or firm pillow. So if all you're after is an early night, you can settle in for a great night's sleep knowing you'll wake just 5 minutes from the terminal. In the morning, don't forget to grab breakfast before you go. You'll find a choice of cereals, yoghurts, pastries and fruit, along with cooked items, tea, coffee and fruit juices, all served in the Great Room. Breakfast is available from 04:00 until 10:00, with hot items added at 06:00. Best of all, it's included in the price! If you're in a hurry, the hotel even provide paper bags and takeaway cups - so you can grab something for later before you leave. When it's time to go, the hotel will make sure your departure is completely stress-free. Just check out before 11:00, let them know you need a taxi and they'll do the rest! The journey to the airport takes less than 5 minutes and costs around £4.50 each way, so you'll be in the sky in no time. At the Holiday Inn Express, you get to enjoy a great-value stay with all the essentials, from a name you can trust. Disabled facilities The hotel has five rooms that are accessible for travellers with less mobility. These all have wheelchair accessible bathrooms and emergency pull cords. If you'd like to stay in one of these rooms, simply give the hotel a call to check which ones are available before you book.